A substantial improvement in the quality of education to enable all children to achieve essential levels of learning.The 86th Constitutional Amendment Act 2002 made education a Fundamental Right for children in the age group of 6-14 years by providing that “the State shall provide free and compulsory education to all children of the age of six to fourteen years in such manner as the State may, by law, determine”. With this reference, the law enacted “The right of children to free and compulsory education Act 2009 (RTE)”.Sarva Shiksha Abhiyan (For Class I-VIII) has been one such initiative of Government of India. Sarva Shiksha Abhiyan is an effort to universalize elementary education by community-ownership of the school system. It is a response to the demand for quality basic education all over the country. The SSA programme is also an attempt to provide an opportunity for improving human capabilities to all children, through provision of community-owned quality education in a mission mode. 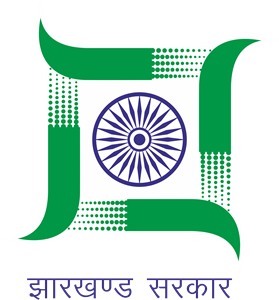 In Jharkhand, the Jharkhand Education Project Council is the implementing agency for Sarva Shiksha Abhiyan. In khunti District Jharkhand Education Project is successfully implementing Sarva Siksha Abhiyan in all 6 Blocks. Special Training for Drop Out & Never Enrolled children. Civil works – Additional Class Room, Toilets, New School Building, Headmaster Room, Boundary Wall etc. Jharkhand Education Project, Khunti is trying to make each and every school RTE compliant.